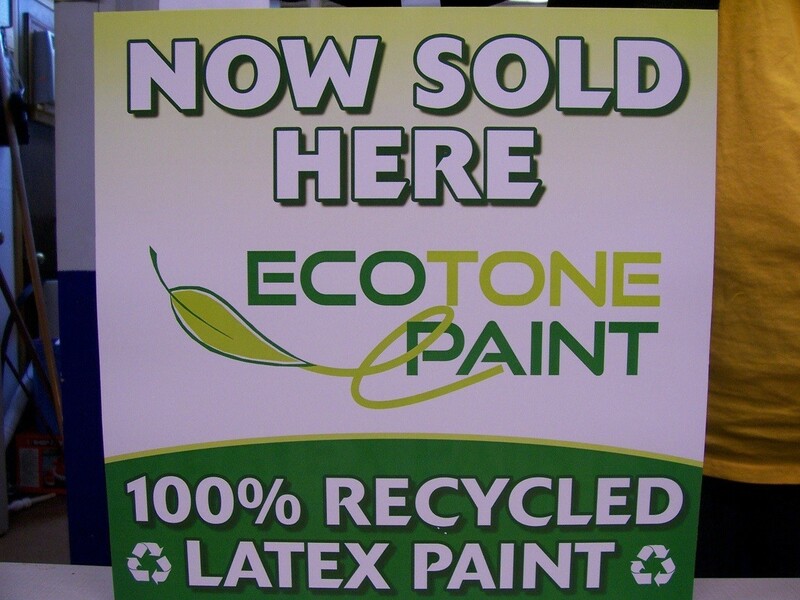 We have EcoTone Recycled Paint for sale in the Troy ReStore. 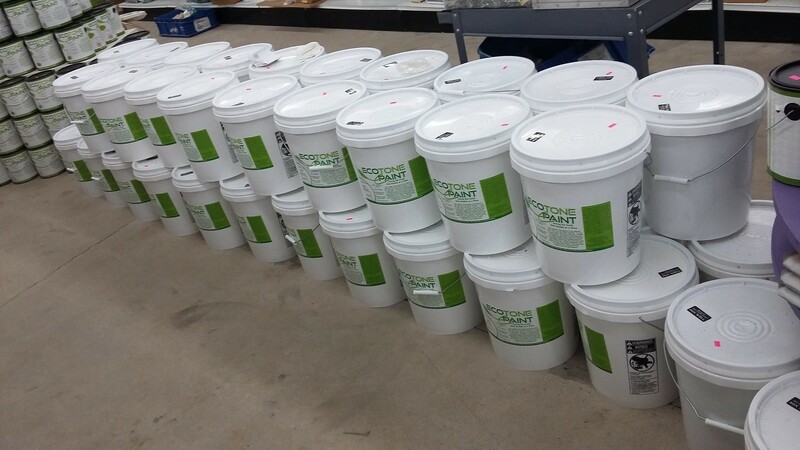 The price is $15.00 for a 1 gallon bucket and $65.00 for a 5 gallon bucket. It comes in white, gray, tan, brown, khaki, green, cranberry, rose, plum, canary, yellow, orange, and red colors. It is low sheen, which is between an eggshell and satin finish. It can be used for interior or exterior applications, but performs best on interior. 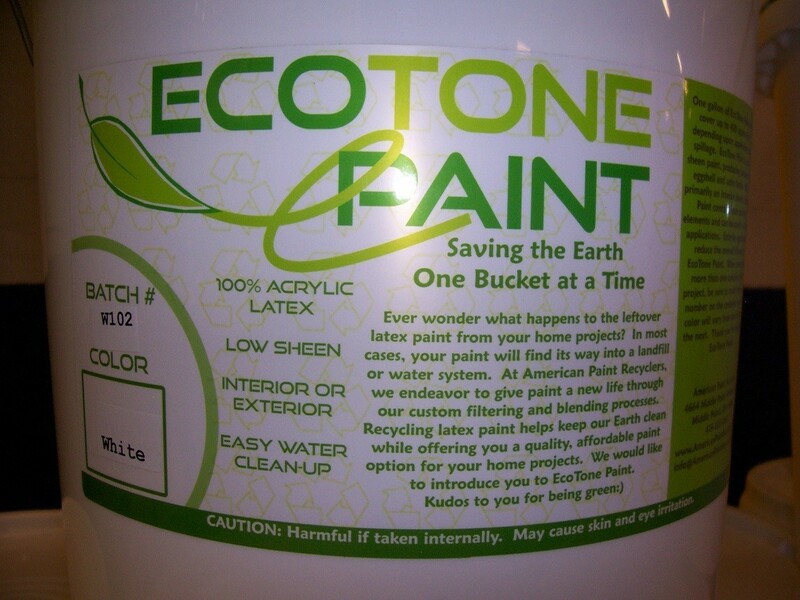 EcoTone paint combines unused latex paint from across Ohio, saving thousands of gallons of paint from landfills and water systems each year. 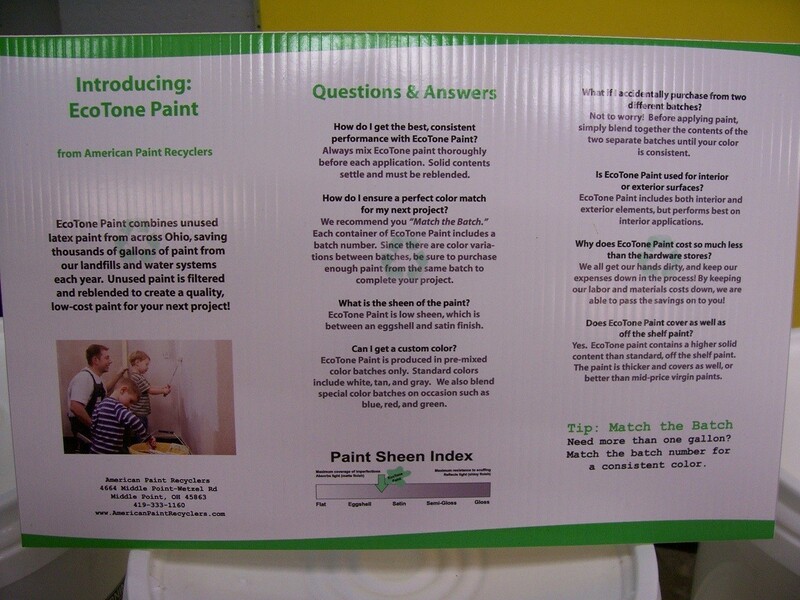 Unused paint is filtered and re-blended to create a quality low-cost paint. 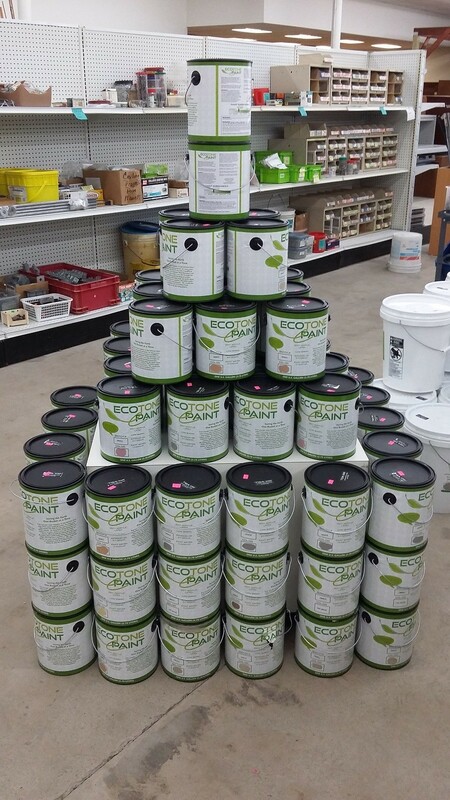 It is 100% recycled latex paint and contains a higher solid content than standard, off the shelf paint. It is thicker and covers as well, or better than mid-price paints.